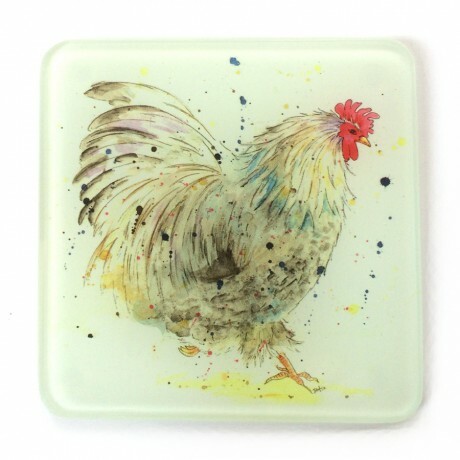 Put down your drink and protect your table from heat or spills in style with these lovely Cockerel Glass Coasters. 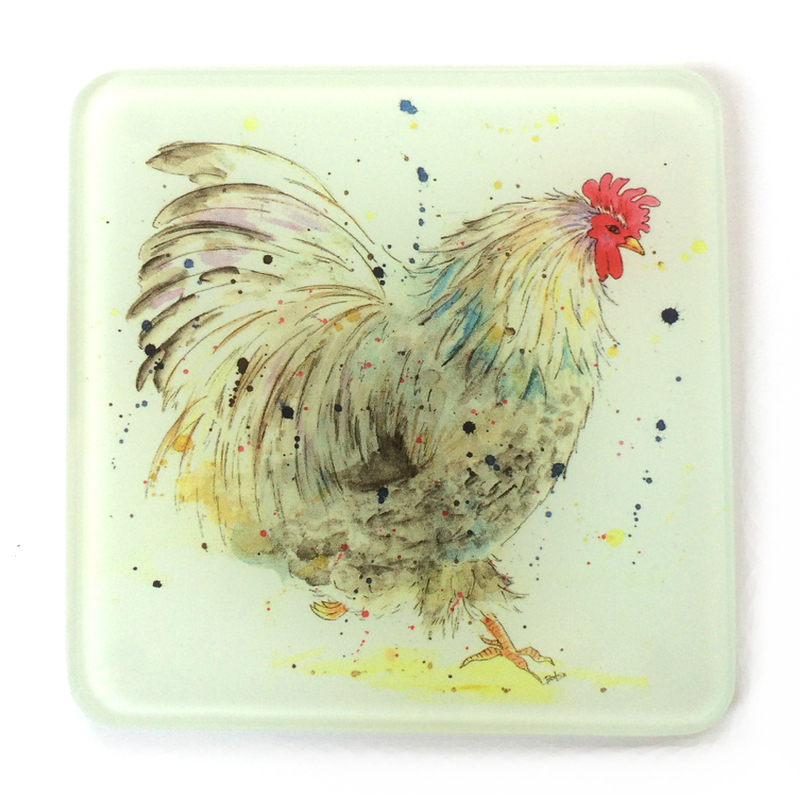 The design features a beautiful illustration of my gorgeous cockerel Podge, who is full of his own importance and spends his days strutting around the garden looking after his ladies. A perfect present for a friend, or perhaps a little treat for your own home!